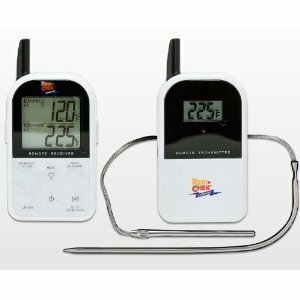 COOK THE PERFECT BBQ WIRELESSLY – The Maverick ET-732 Redi-Chek Wireless BBQ Meat Thermometer allows you to cook the perfect BBQ with ease. The dual monitoring units mean you can keep an eye on what you’re cooking without being there. PROGRAMMABLE ALERTS SO YOU CAN REST EASY – Each meat thermometer has programmable alerts so you’ll never overcook your meat again. As soon as your meat hits the desired temperature the wireless receiver will ring out to let you know. MONITOR YOUR MEAT FROM YOUR COUCH – Who said cooking had to be hard? The wireless receiver lets you monitor your ‘precious’ from over 300 ft away. 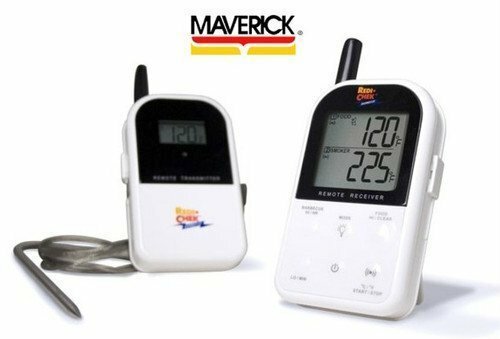 PERFECT FOR LONG COOKS – The Maverick ET-732 Redi-Check also has built in alerts to let you know when your BBQ or smoker is going above or below the desired temperature. It’s perfect for long cooks, especially when you don’t want to be standing outside all day. BUILT-IN BACKLIGHT FOR LATE NIGHT COOKOUTS – You can even use it in the dark! The thermometers feature built in backlights so you can cook at night without needing your phone to shine a light on the screen (we’ve all been there). It’s hot outside. There’s smoke in your eyes. The haze is thick and heavy. It’s tough to breathe and your hands are hurting…cooking the perfect BBQ and smoking meat doesn’t need to be a battle! In fact, you don’t even need to be there to make sure your meat is perfectly cooked anymore. How? The Maverick ET-732 Redi-Chek Wireless BBQ Meat Thermometer has been precision engineered to allow you to monitor the temperature of your barbeque wirelessly. Say what? You read that correctly. 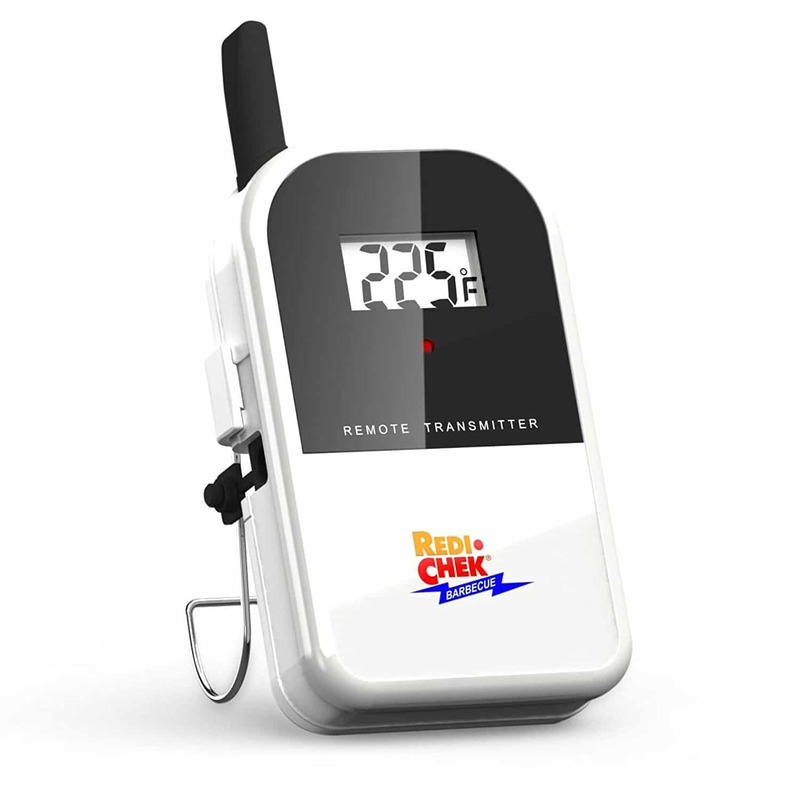 Each Redi-Check BBQ Thermometer has two monitoring units. One that you leave near the BBQ and one that you can place next to the couch while you have a nap from up to 300 ft away. 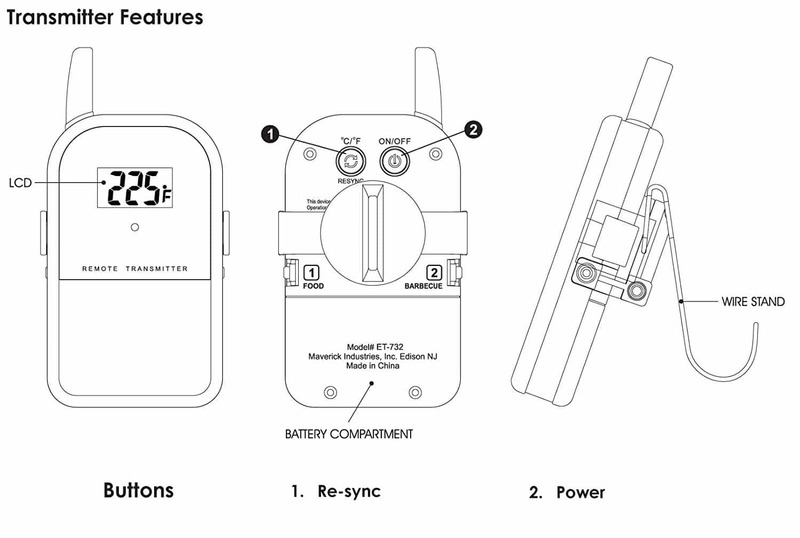 Each unit comes with dual probes so you can monitor two temperatures at the same time. 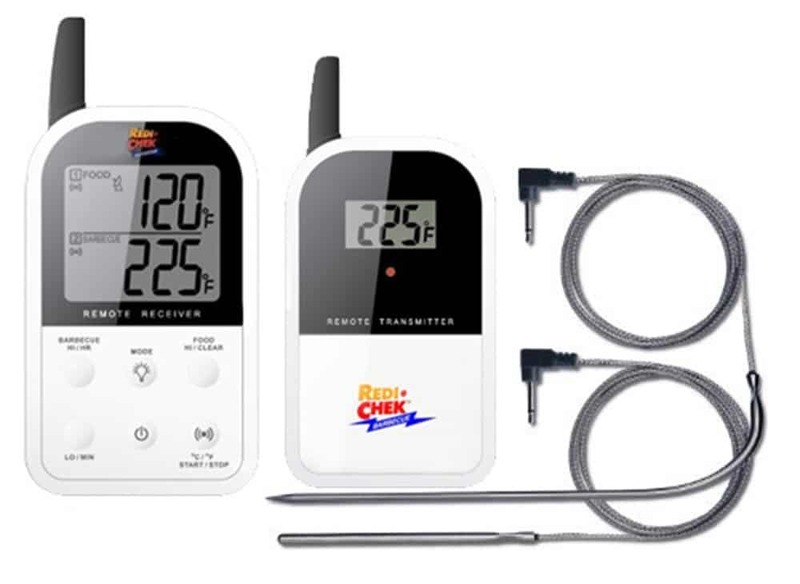 It even has built in alerts that will notify you if the temperature is rising above your desired level so you’ll never overcook or over smoke your meats again. It’s perfect for long slow roasts as the provided probes allow you to monitor the BBQ temperature as well. 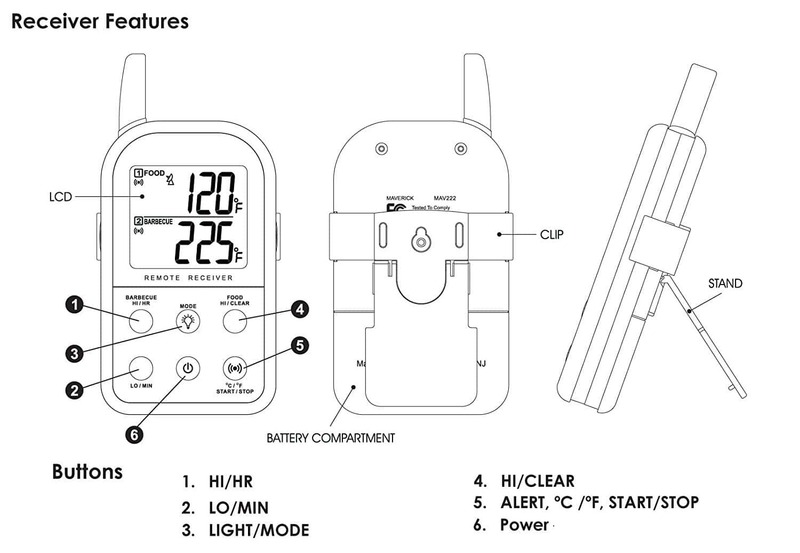 The automated alert will ring out if the temperature goes above or below your desired temperature. In fact, it works right up to 572°F! How does it work? Simply insert the probe into your meat. Place the BBQ display on the side of your BBQ and throw the receiver in your back pocket. You’re ready…to sit on the couch and finish that brewski that you opened earlier. BBQing never was so easy! Hit Add-To-Cart Now…the couch is calling!